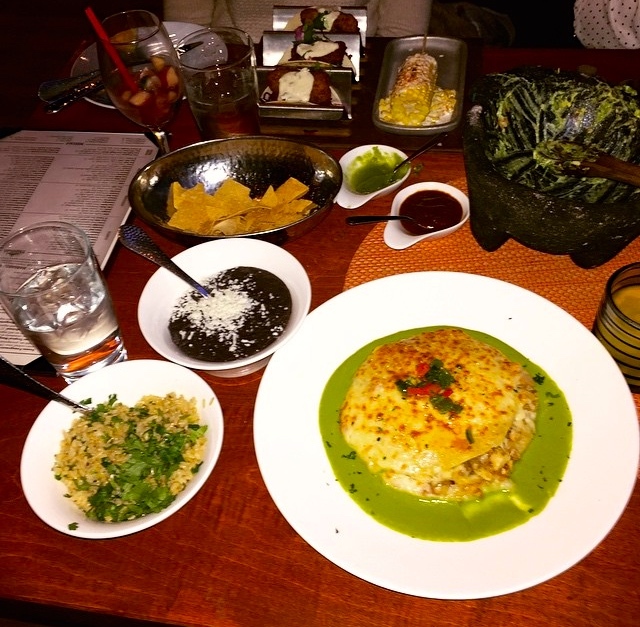 In the mood for some delicious Mexican cuisine? 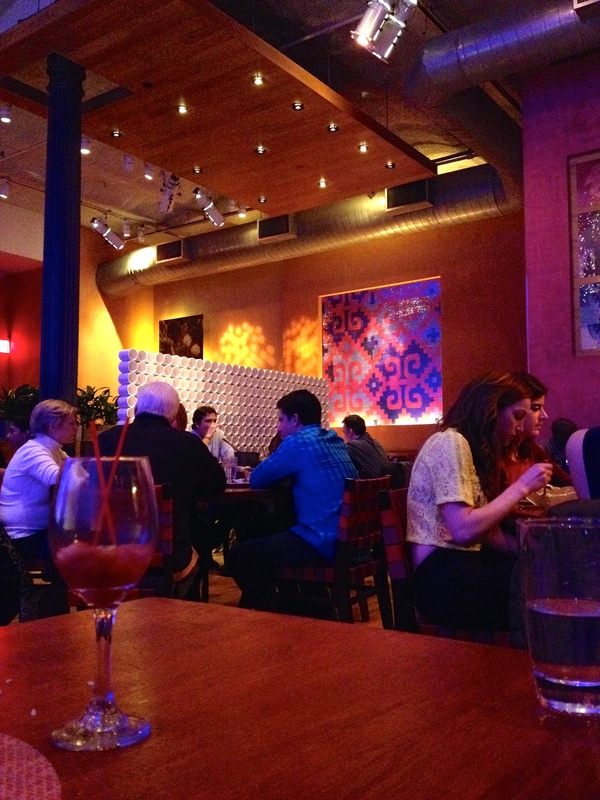 With three locations in New York City (1st Ave, Lincoln Center and Union Square), Rosa Mexicano has a cool vibe, young crowd and great grub you have to try! This restaurant is not unique to New York City with various location s including Miami, Boston and San Francisco. 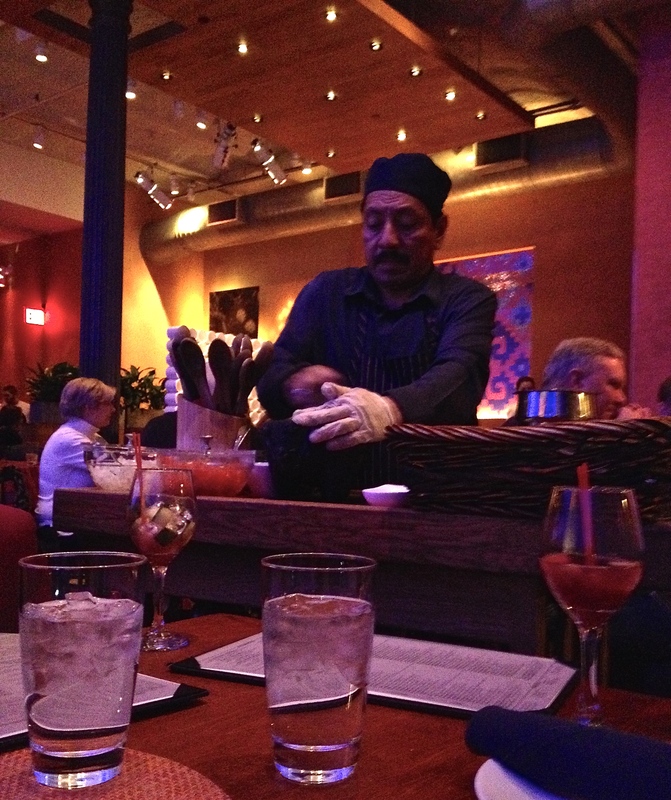 After grabbing our table, we quickly put in an order of the infamous table-side guacamole. The guac was served with warm tortilla chips and two dipping sauces. None of us really liked the dark sauce which Kevin said tasted “like leather.” Sara and I laughed… but after tasting it for ourselves we agreed leather was the only comparable adjective to describe it hah – but the green sauce was flavorful and spicy. 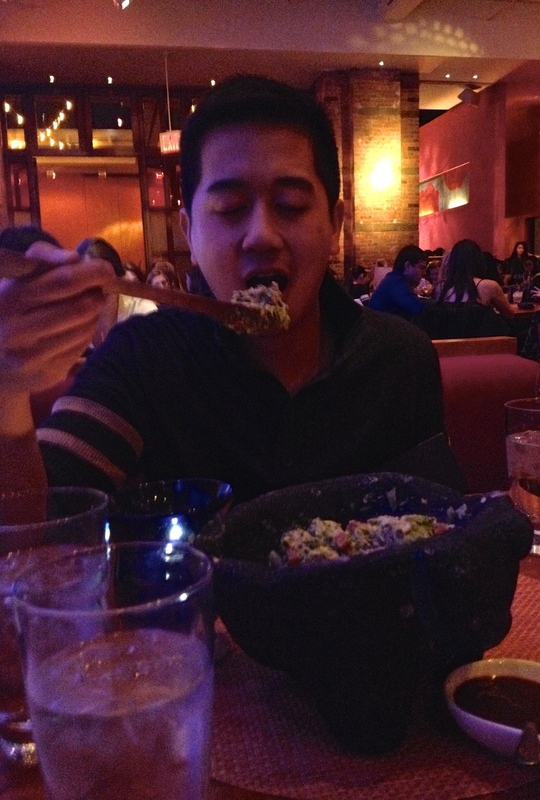 The overall winner was the guac itself though. Plenty for three people to share – we were already full after that. For dinner, Sara and I got the Baja Tacos served with Elotes — E-what?! ELOTES! Aka grilled Mexican street corn. We couldn’t figure out if the corn was smothered in butter or something else, but either way it was GOOD. 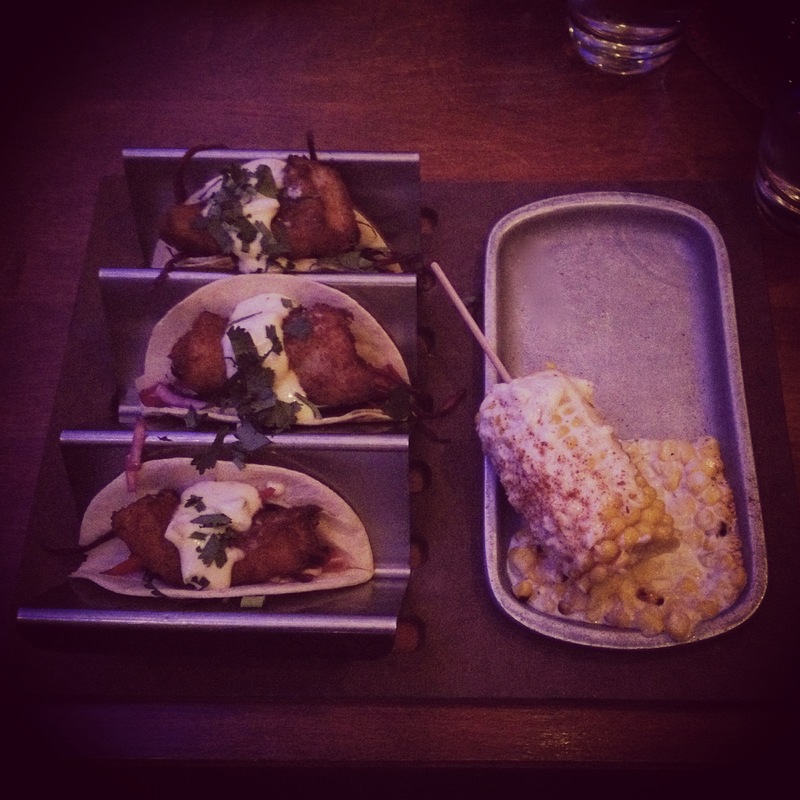 I may have to say the corn was better than the actual fish tacos. And I’m pretty indifferent about corn. That good. Kevin went with our waiters recommendation of Budín de Pollo which is essentially a dish with layered tortillas and chicken. It was really good and came with various sides as well.